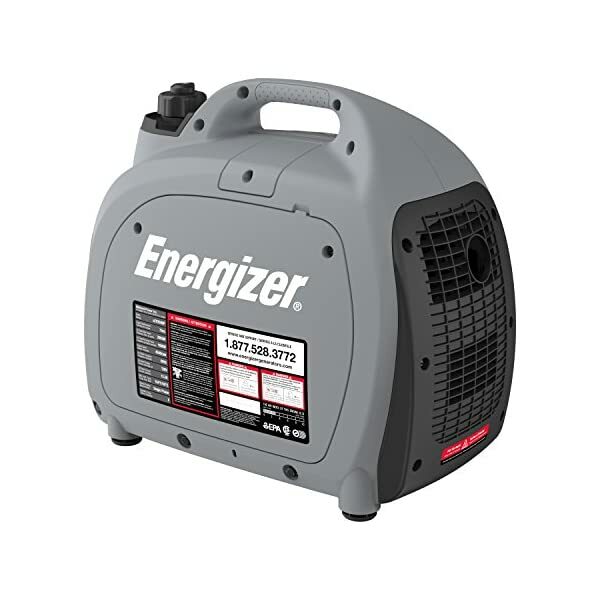 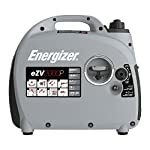 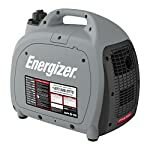 The all new Energizer eZV2000P is a fuel-efficient, portable inverter generator powered by an ultra-quiet engine and class-leading inverter technology. With a 2,000 watt peak output and a continuous 1,600 watts of clean electricity, you’ll power your most sensitive electronics such as laptops, cellphones, monitors and tablets free of voltage spikes and drops. 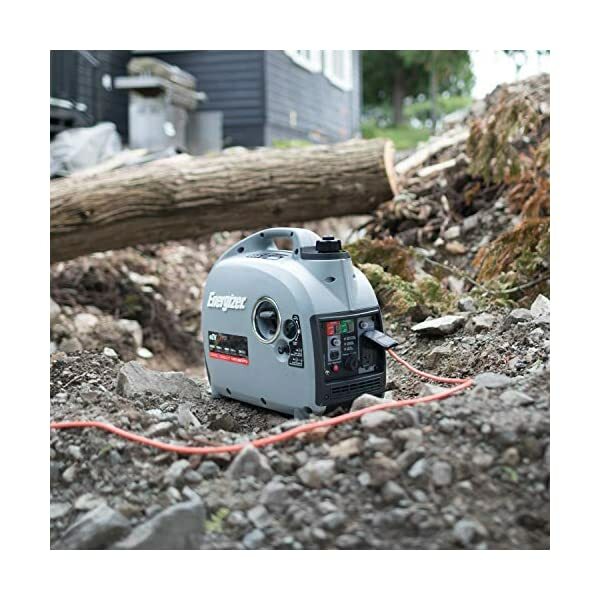 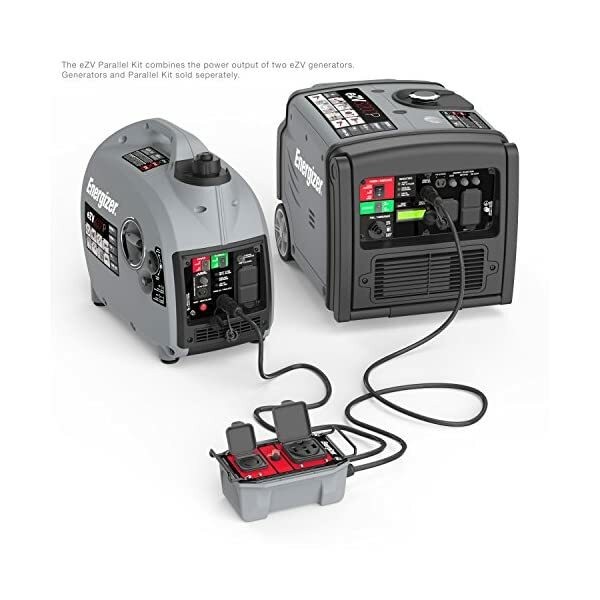 The 79cc 4- stroke OHV engine operates at a whisper quiet 50 dBA at quarter load making this quiet generator perfect for camping, hunting, tailgating, restoring back-up power and jobs around the home or workplace. 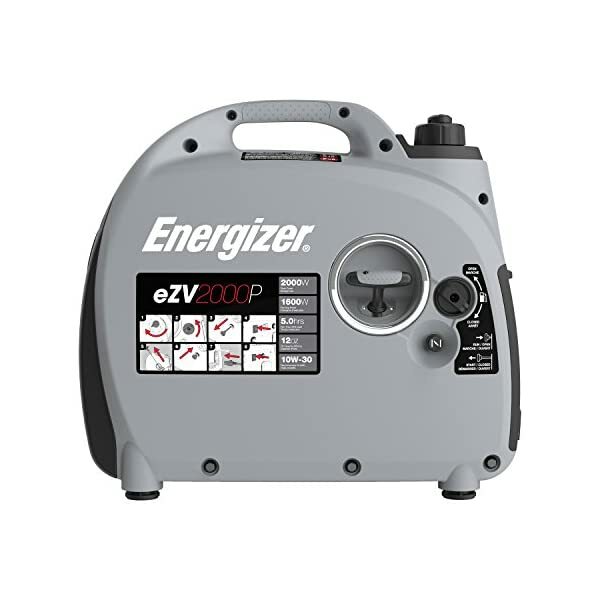 At only 44lbs, the eZV2000P is extremely light making it easy to carry and transport and with a large one-gallon tank, you’ll expect to enjoy over 11 hours of continuous uninterrupted use at a quarter load. 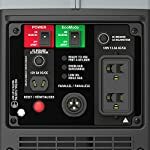 The weather secure panel stands up to the out of doors elements and offers a duplex 120V receptacle, and one 12V DC receptacle. 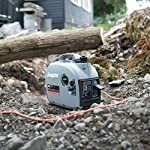 Tired of wasting gasoline? 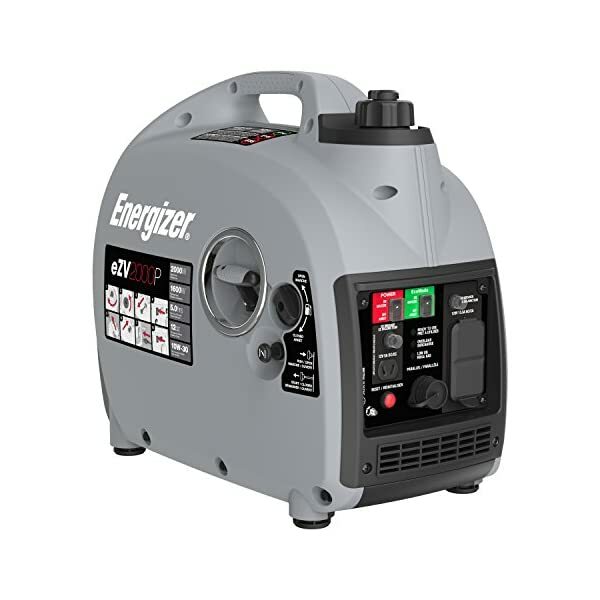 With the eZV2000P’s handy eco-mode throttle you’ll maximize your fuel consumption by allowing the motor to automatically adjust power as items are plugged and unplugged from the inverter generator. 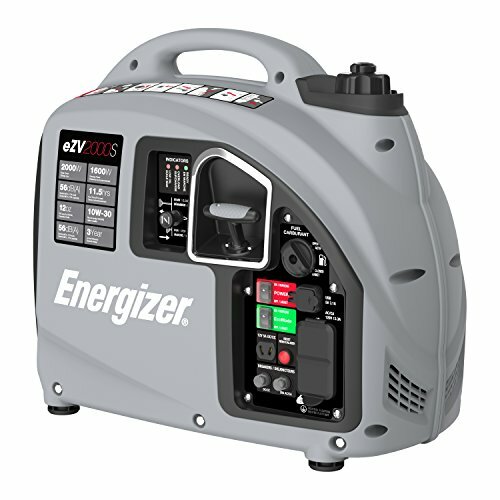 Need more energy to power your RV trailer or restore back-up power? 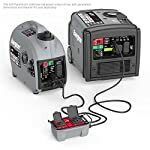 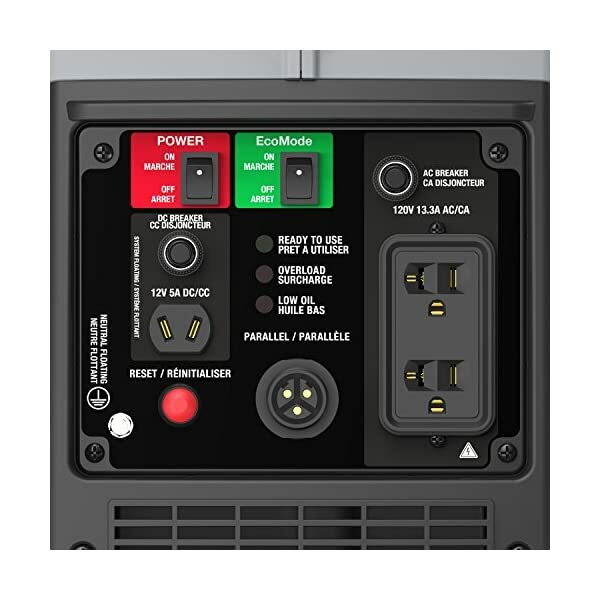 The parallel cord (sold One at a time) combines two eZV2000P unit outputs into a single 120V 30A twist-lock outlet or RV outlet. 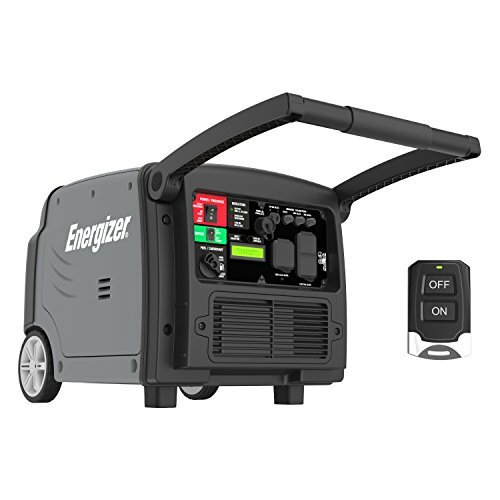 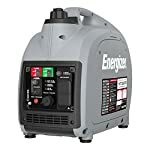 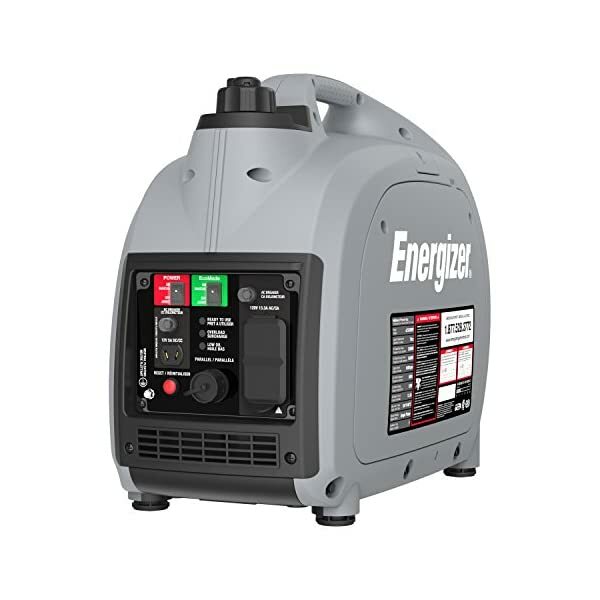 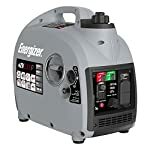 Last but not least the Energizer eZV series portable inverter generators are covered by a 3 year limited warranty and with a skilled customer service department to be had to lend a hand with technical reinforce, ordering parts, and general inquiries about our portable generator products.